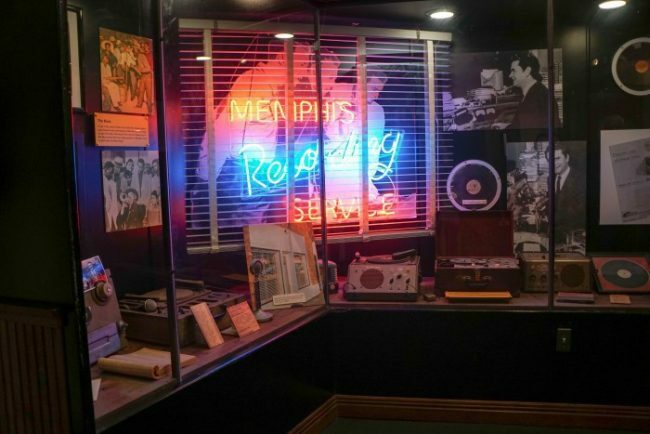 You can’t visit Memphis, Tennessee without pausing to experience the music culture and the Rock and Roll music that was born here from the roots of blues music. 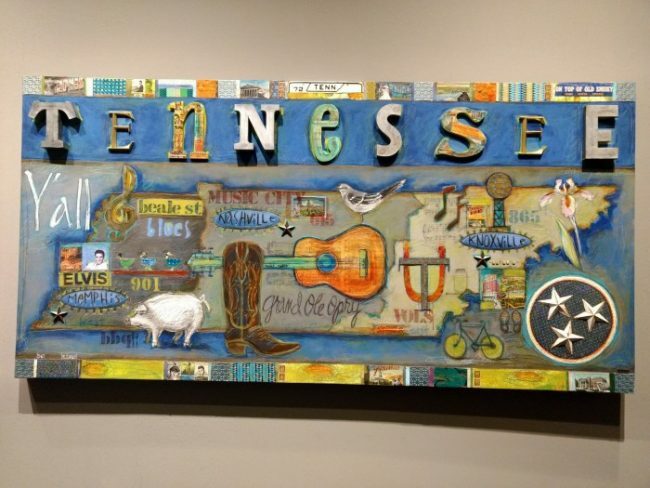 There is a lot of history and culture that are perfect family attractions to visit in Memphis. 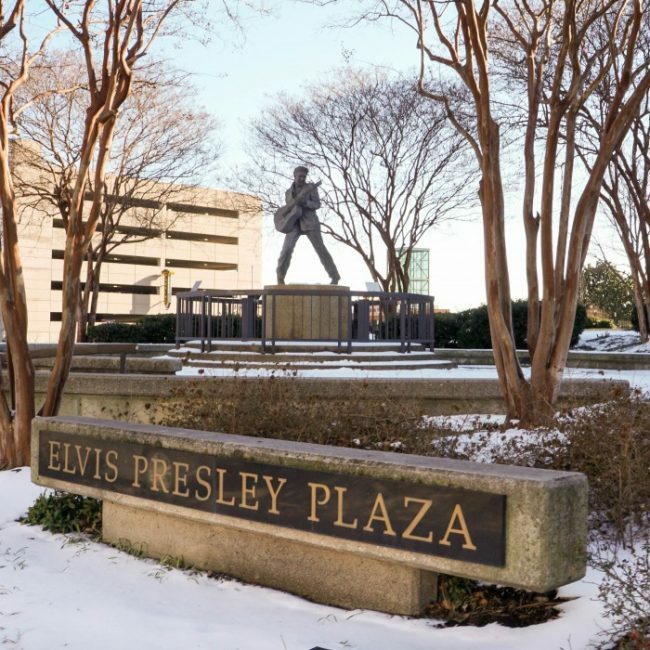 You’ll love walking the streets where Elvis Presley, B.B. King, Johnny Cash, and other legends lived, worked, and shared their passion. I received complimentary admissions to some of the attractions included below. All opinions and experiences are my own. A trip to Memphis wouldn’t be quite complete without paying a visit to the home of this legend. It’s a fascinating look back on how he lived. We started our the tour with a quick film about his life, then it was off on a bus to Graceland, Elvis’ home. 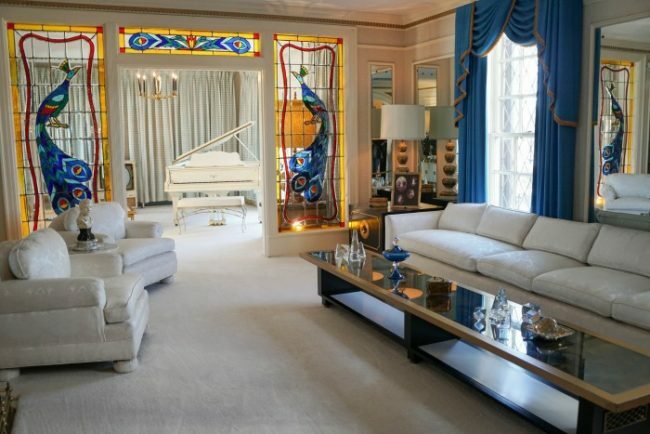 The property was nicknamed Graceland by the previous owner’s and it was a name that stuck! The mansion was over 10,000 square feet and included nearly 14 acres when Elvis bought the property for $102,500 back in 1957. Elvis added on additional buildings to the property and the Graceland mansion is now 17,552 square feet today. Even from the front door step, the property looks impressive. The interior tour started in what is referred to as the music room which includes a large front sitting room with the longest couch I’ve ever seen – it’s 15′! Right through the front foyer and living room is a beautiful white piano. From there we moved on to see the dining room, which is still used for Presley family dinners when the family members are in town. 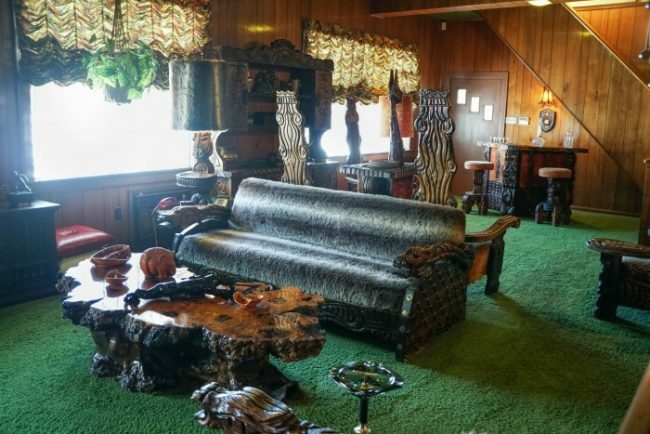 It was fascinating to see a home preserved in time with the decor and styles from the 1970’s. The outdated kitchen and small screen big box TV’s really spoke to the changes over the past 50 years. 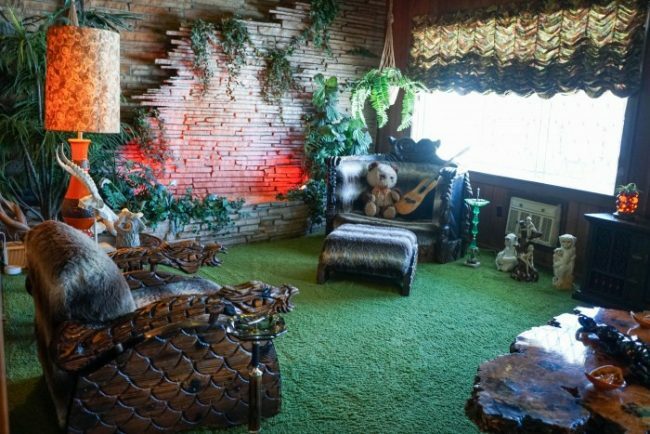 Next we moved into what is known as the Jungle Room, and it really was a wild room – complete with thick pile carpeting on the ceiling and a water wall that was once used. The tour continued on through the basement and the rest of the grounds including a racquetball court he had built on the property. The property was filled with so much information and it was definitely a stop worth a visit. 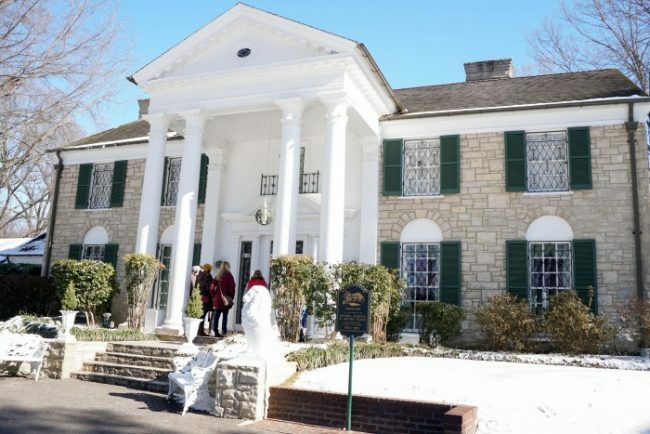 After the Graceland mansion tour, we spent some time looking through the history museums that included some of Elvis Presley’s outfits, lots more information on his life including his time drafted to war, and of course the cars that were a treat to see! 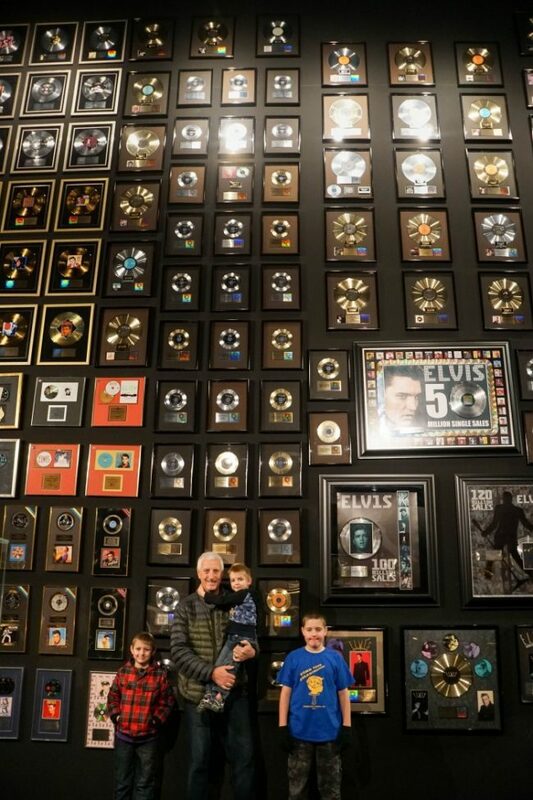 This wall of awards really struck me as it shows just what a legacy Elvis left and the affect he had on the music industry. 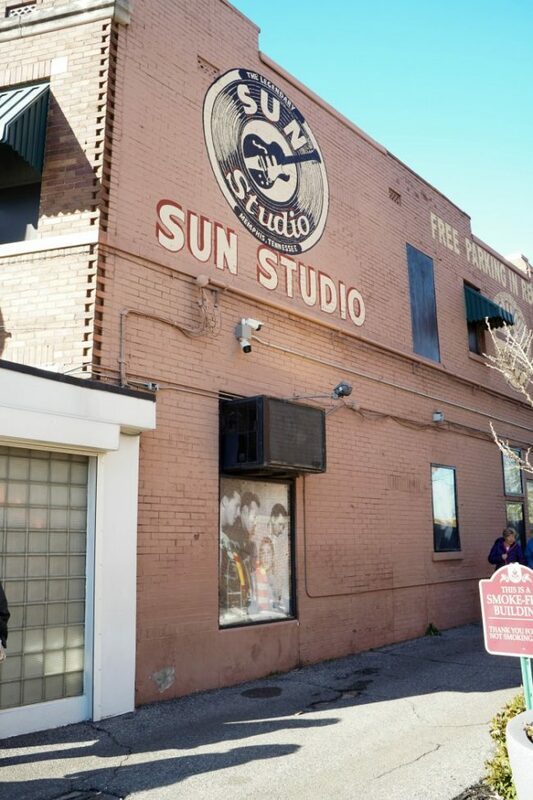 Following the music trail, your next stop should lead you to Sun Studio. 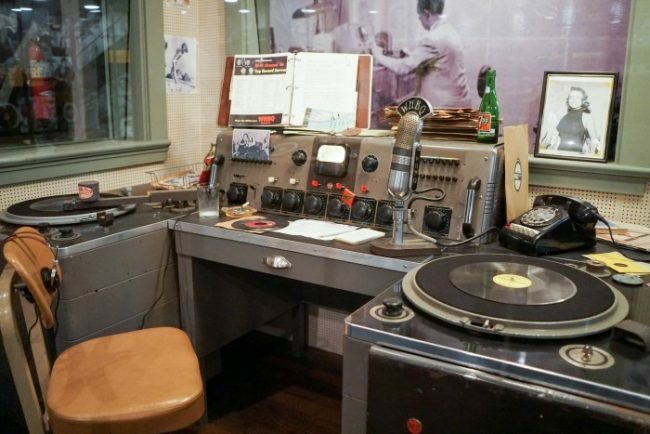 There is so much history to learn here about how Rock ‘n Roll was born from this humble studio – including how Elvis was turned away after his first visit to the studio. He wasn’t the sound they were looking to record, they opened as a place to record blue music. 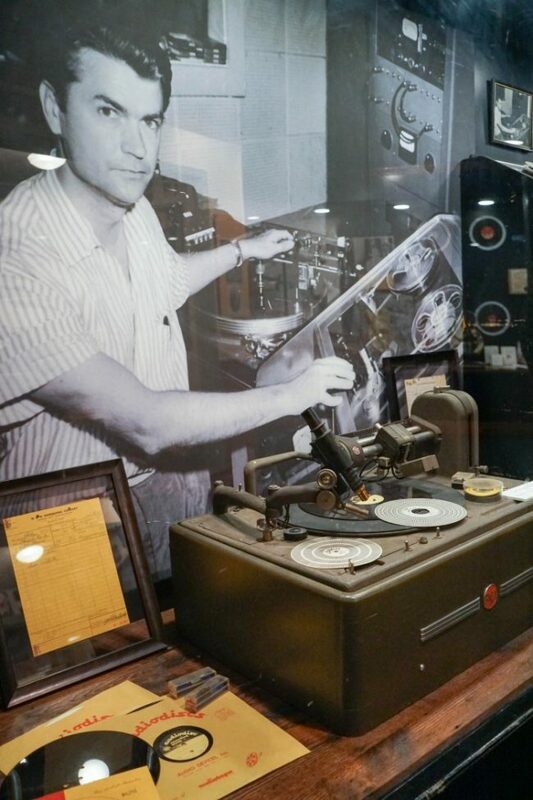 It was fascinating to get a peek at how music was recorded and the history of some of the famous artists including Elvis Presley, Johnny Cash, B.B. King, and Howling Wolf. The tour is unlike any other where you’ll sing and dance and rock your way through the history of music and the Sun Studio record label. Tours start at the half hour mark of each hour from 10:30am to 5:30pm. *Kids under age 5 are not permitted. 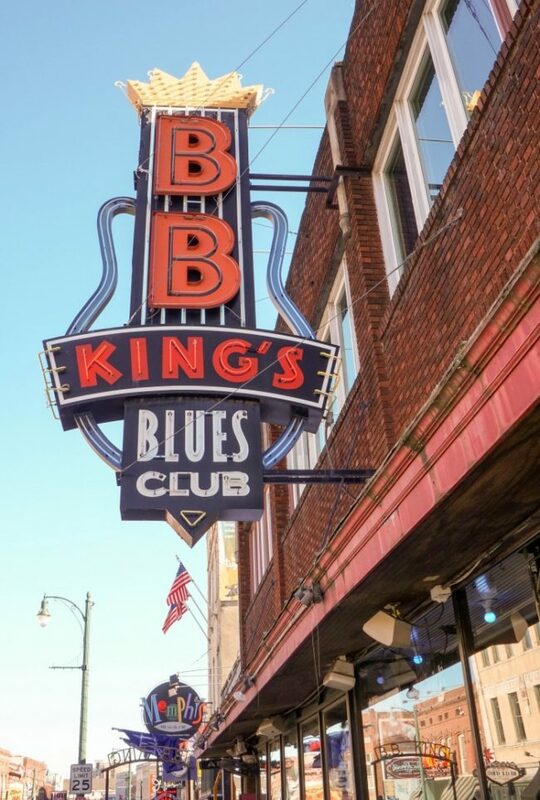 Spend a late afternoon or evening strolling down Beale Street. It’s an iconic street in downtown Memphis where jazz clubs line both sides of the street. Stop in to hear some blues and enjoy a meal or drinks while you’re there. You’ll want to check the events calendar before you head here to be aware of any special events taking place. We happened to arrive during an event that required wristbands to enter any / all of the jazz clubs, so we missed out on the music but still had fun wandering the streets. Just a block away you can also spot a statue that honors Elvis Presley. 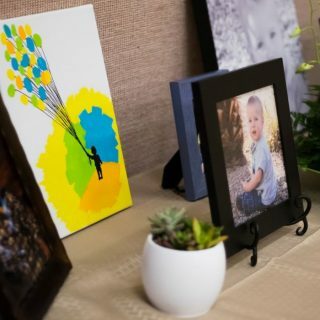 Find Events and Information at www.bealestreet.com. I know what you might be thinking, why would I want to spend my vacation in a store? 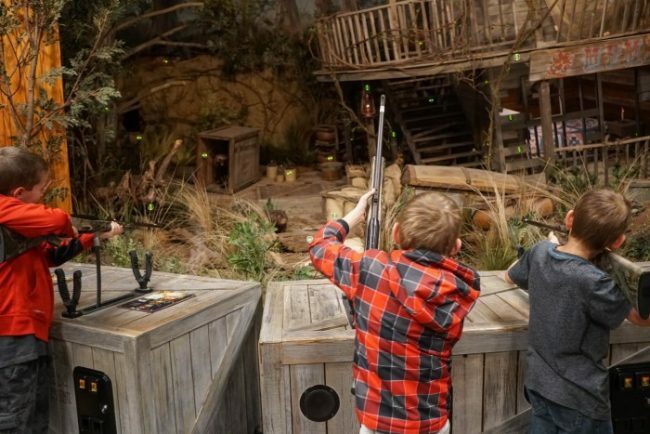 Well this Bass Pro Shops store is unlike any other. It’s nestled inside a pyramid and filled with attractions and things to see, many which are free! There’s even a resort inside – the Big Cypress Lodge. We started with the shooting gallery arcade game. The kids had a blast and it’s just .50 cents if you’re up for the challenge. 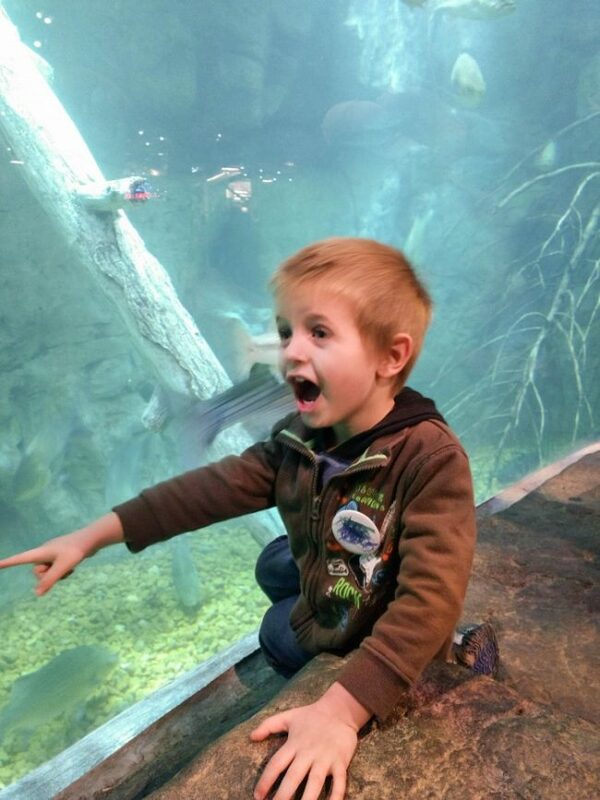 You’ll also spot lots of animals during your visit including a large fish tank. We showed up at just the right time and got to see the fish feeding demonstration, which was a treat. There are also live alligators and a bunch of taxidermy creatures to spot as well. 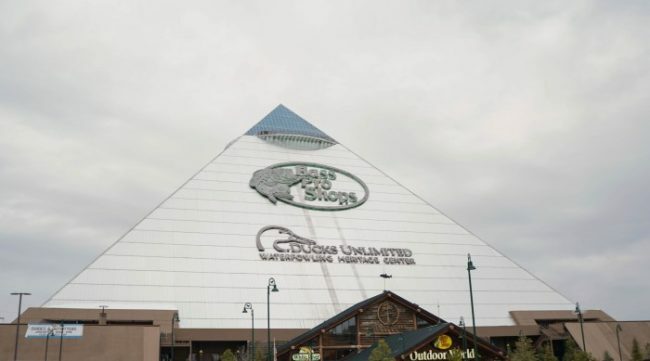 At the center of the store is a glass elevator that will take you up to the observation deck to get a view of Memphis. It’s light up in fun colors that change and with just the single column in the center of the pyramid it’s definitely a sight to see just in and of itself. You could end your visit at the restaurant or Fishbowl. 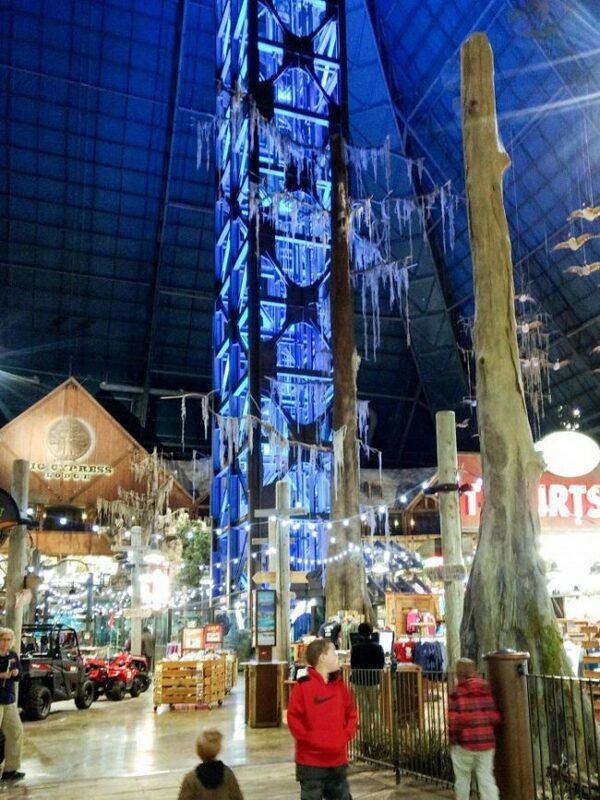 Even just wandering around the Bass Pro Shops is an adventure on it’s own. We were all in awe at the store pointing things out all around the store. The store is open most days from 8am to 10pm. The store closes as 7pm on Sundays. 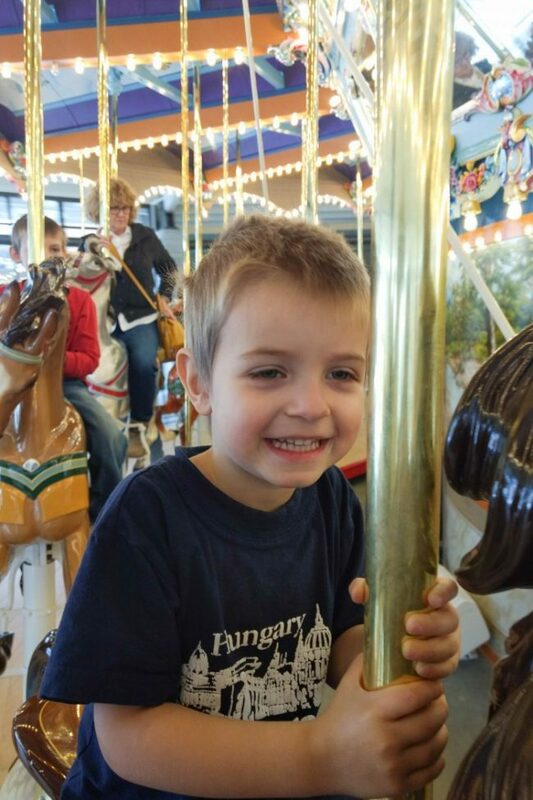 A Sky High Ride to the top is $5 for kids before 4pm and $10 after 4pm. Admission is $10 for adults. 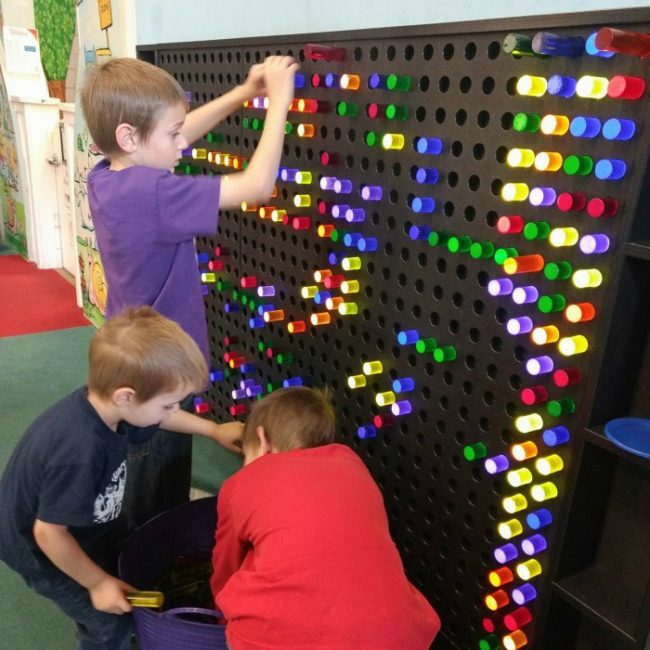 For families with young children, ages 2-10, you’ll want to make time for a visit to the Children’s Museum of Memphis. 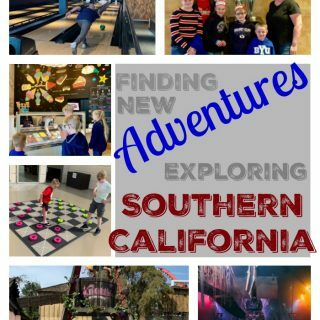 It’s a really engaging children’s museum with so much to see, do, and explore. 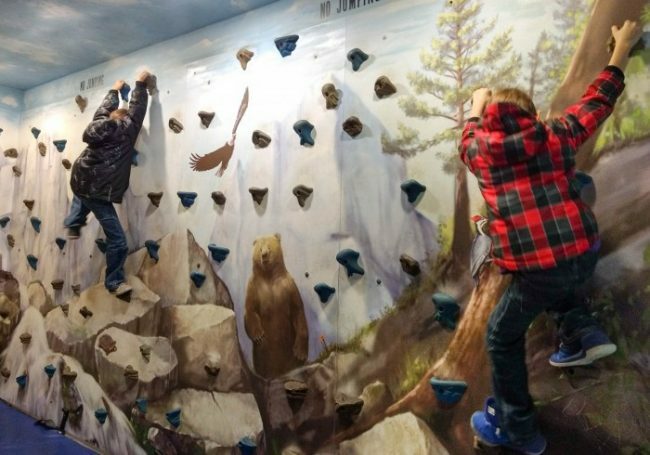 My older boys loved scaling the rock climbing wall, and trying to make their way across the wall from right to left. 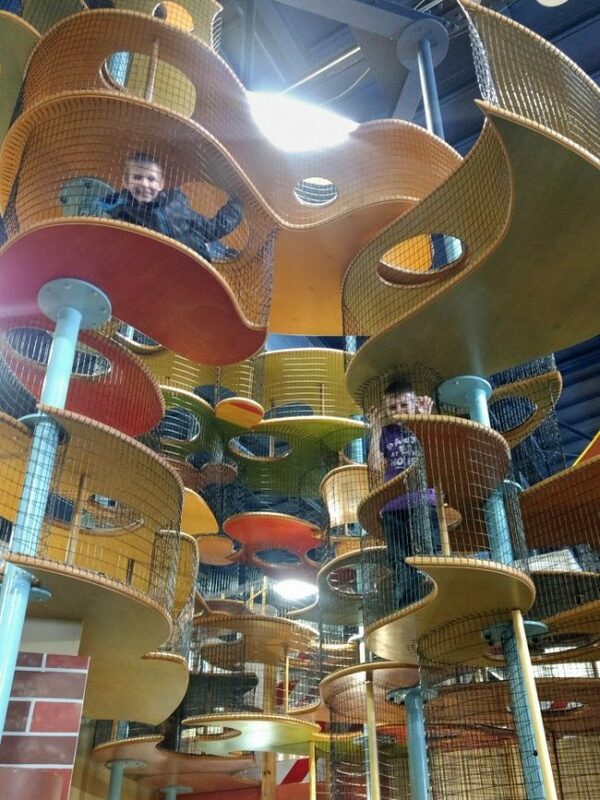 One of their favorite exhibits was a Skyscraper maze! It winds up to 22′ high and has a variety of paths they could choose from as they weaved in and out trying to find the top. 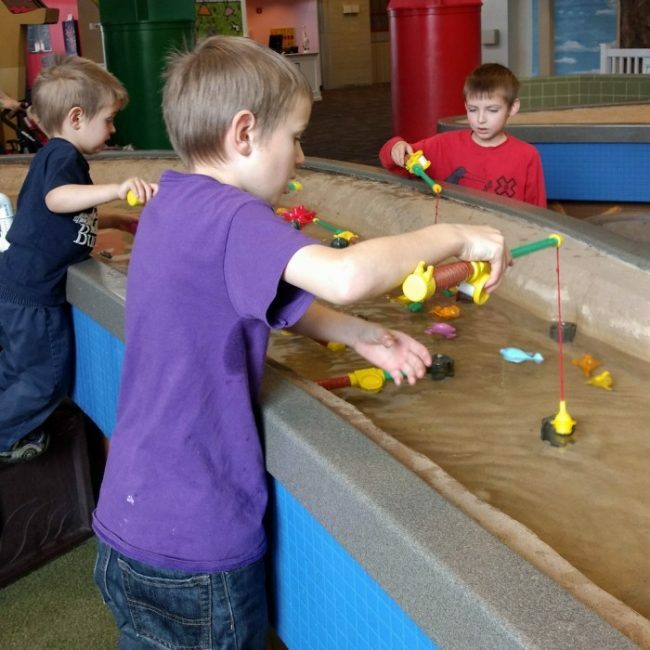 Everyone enjoyed fishing the Mississippi River exhibit, and collecting the fish to take them back up to the head of the river. 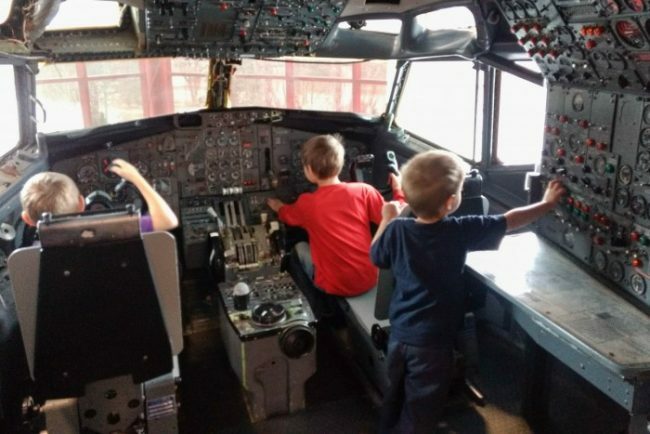 My 7 year old wants to be a pilot when he grows up, so he was in love with the FedEx airplane that he could climb right into the pilot seat and experiment with all the buttons and toggles. There was so much more to explore like the mega sized Light Bright, Garage where they raced Lego cars, air tunnels with scarves, and even outside exhibits to play on. We ended our visit with a ride on the Memphis Grand Carousel which is on-site at the museum, but a separate ticketed event. Our visit to The Children’s Museum of Memphis helped burn the kids energy during a cold week we spent mostly indoors. 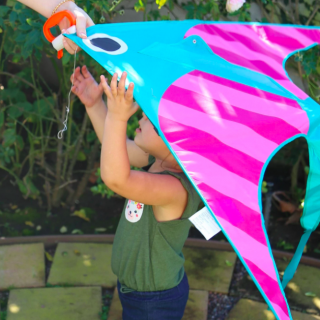 It was the perfect way to learn and explore science and everyone had a blast! 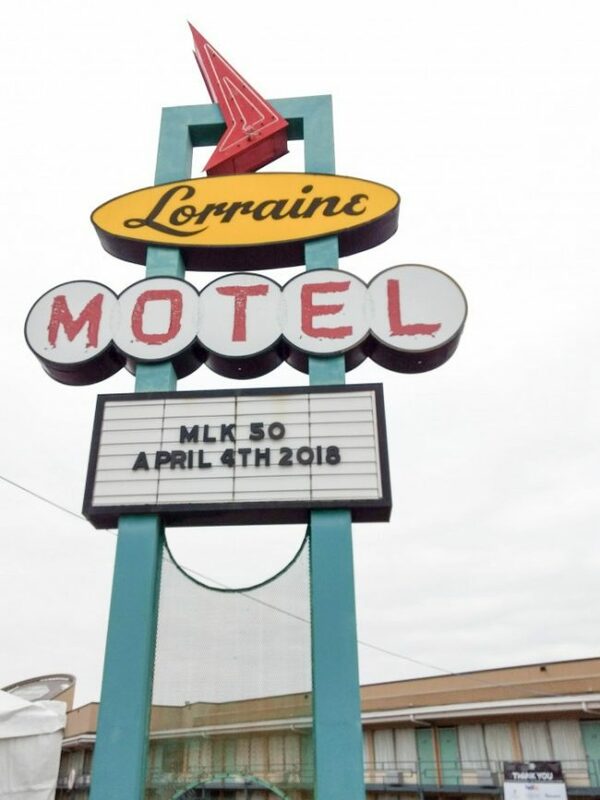 Learn about the history of the civil right movement at the National Civil Rights Museum housed in Memphis at the Lorraine Motel. This unique museum is situated where Dr. Martin Luther King Jr was assassinated. Take a walk through the exhibits that chronicles important moments of the American Civil Rights Movement as well as giving pause to consider the issues we still face around the world today. Our family always enjoys a day trip to the Zoo. If you have extra time during your visit to Memphis, plan a day trip to see the over 500 animal species that call the Memphis Zoo their home. It’s definitely worth a visit as one of the top named zoos by TripAdvisor and in a national survey. Spend time wondering through the exhibits or participate in one of the animal chats featuring hippos, sea lions, pandas, giraffes, and more! There are even some special feedings and a Sea Lion show! Take a 90-minute sightseeing cruise down the Mississippi river to get a unique perspective of Memphis and learn about the history along the river front. This activity is closed during winter months. When you’re ready to start planning your trip, be sure to visit the Memphis Travel website created by the Memphis Convention & Visitors Bureau. 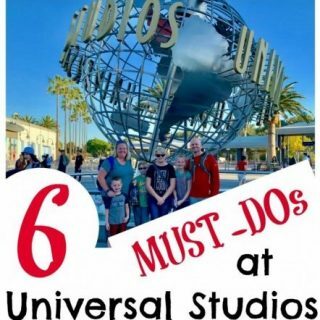 You’ll find so much information and resources available to help you book the perfect vacation including more family attractions to plan, information on upcoming events, and resources on where to stay during your visit. This is a great list! Saving this for next time we visit Memphis! I am SO glad Graceland was at the top of your list…number one! It was an amazing experience for us and we fell in love with Memphis. Memphis is such an amazing town. I always want to spend more time there. I’ve heard Memphis is amazing. I’ve always wanted to go to Graceland … so much history and legend there. I love Memphis. There is so much to do there. I have family in Memphis so I always enjoy going and visiting and exploring something new about the city. Oh wow, Memphis sounds so fun! 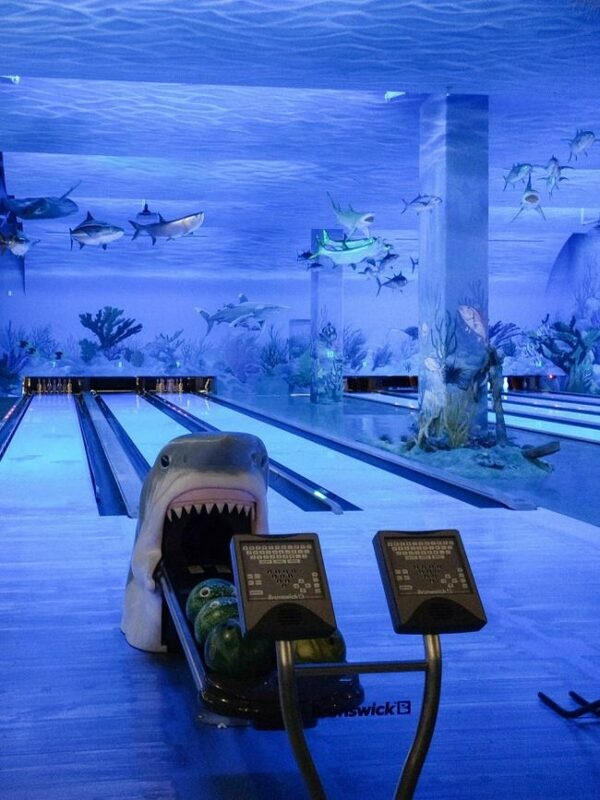 I would definitely have a good time there with family. There’s so much history! Memphis has so much to do. 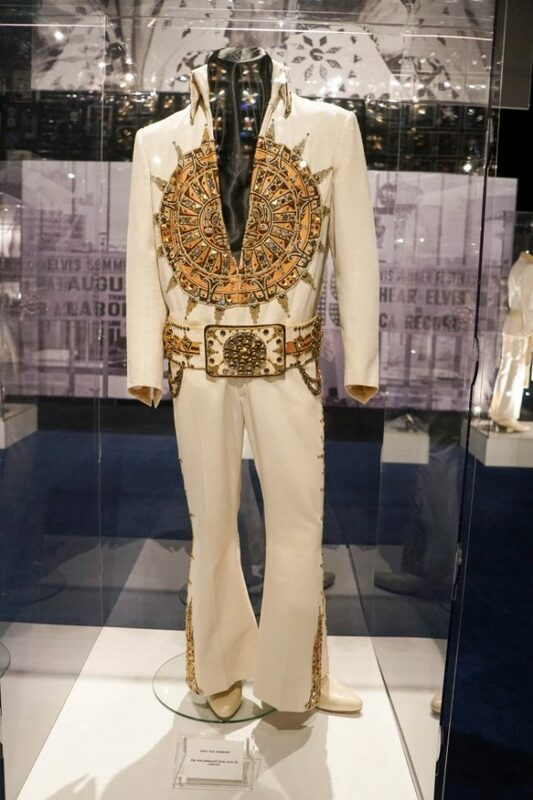 I loved Elvis’ outfit. It is really a great family destination and the music history is special and I think my kids would like it. Memphis is such a great city. I had the opportunity to visit once, and it was so much fun! I would put it right up there with New Orleans for music. 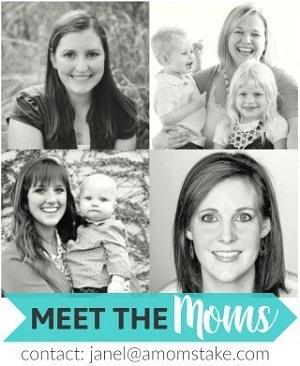 Memphis seems like an awesome travel destination, especially for a family vacation, Janel! When would it be the best time of the year to explore this stunning place? It seems like an awesome vacation destination for family holidays. I would love to explore this place.